Such a cute card, Lisa, love the pink and black! So fun! I love the flamingos! That flair is perfect for you guys! That is just tooo much fun. And I'm kinda partial to flamingos!!! GORGEOUS!! I loveeeeeee flamingos ... my FAVE!!!!!!!!!! Love the flair, love the card, love the flamingo!! Just LOVE!!! 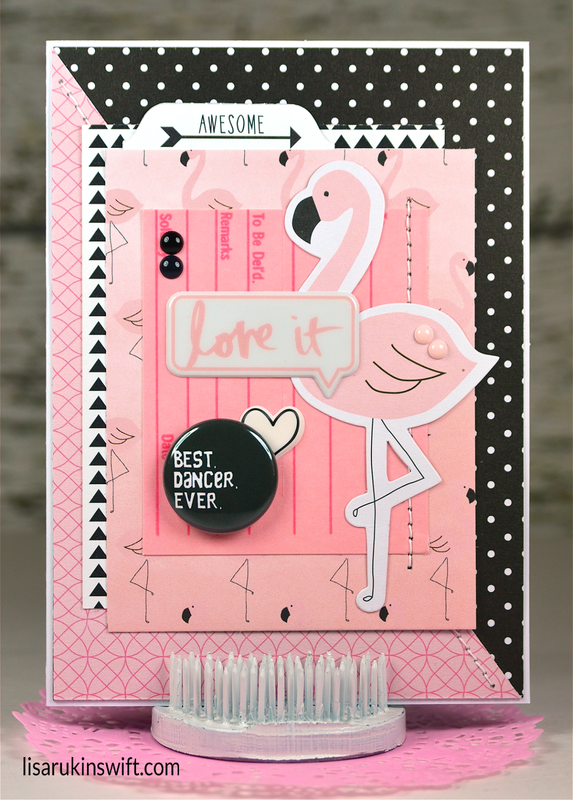 Love the Flamingo on your card Lisa, and the sentiment on the Flair button!! You use flair like nobody's business - so perfectly and so well placed - you make awesome cards and I am so glad to hear that the Card Kiosk is being successful!!! 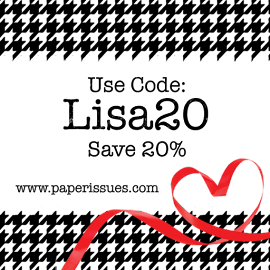 Love to you! !